VerA series is a portable solution that in the best way combines power and high sound quality. 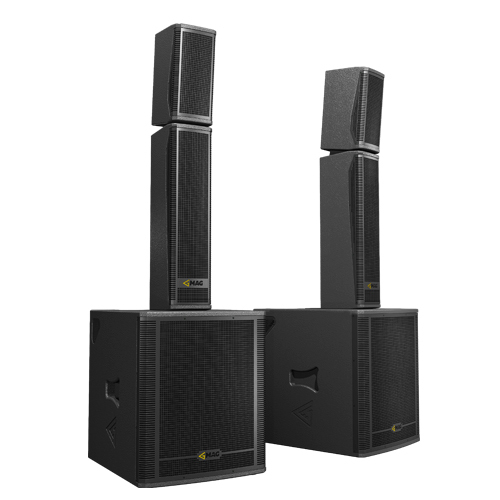 Being compact, VerA sets still deliver considerable sound pressure, needed in small- and medium-sized bars, restaurants, karaoke-bars, corporate events and parties. Convenience and ease of use – this is what VerA series is all about. These sets are ready-to-use plug and play systems, with built-in Powersoft modules, complete with ready presets, ensuring quick set-up as well as smooth and flawless operation to any user. VerA series is made specifically for ease of use and transportation, while providing sound performance and reliability rivaling those of bigger sets. Vera S was designed to address the demand for portable, lightweight, yet powerful and versatile soun..
Vera M is the complete solution where portable, powerful and reliable sound system is a must have. I..
For even more versatility in application, VerA L has a unique feature for vertical dispersion contro.. 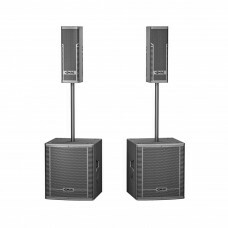 Product description:Powered speaker setMain features:2400W total powerTwo 12” vented-box subwoo.. 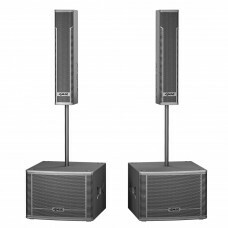 Product description:Powered speaker setMain features:3000W total powerTwo 15” vented-box subwoo..